Have you ever heard of cork fabric? I was dimly aware of it, but it hadn’t really registered for me as something I’d like to try until I came across this post on the Sew Sweetness blog by Sara Lawson. In conjunction with an online book club she is hosting, Sara is posting a free project pattern and video tutorial every month. 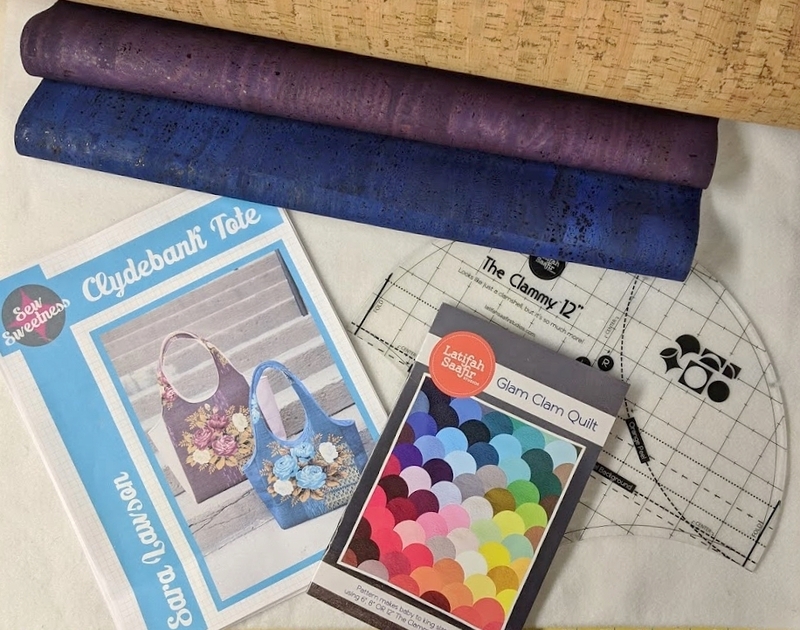 The first project was the Clydebank Tote, and several of the sample projects featured cork fabric on the side panels. I was intrigued! I first purchased some cork fabric from Fabric.com, but wasn’t quite happy with the color match when it arrived. So I went back to Sara’s site, which has a great selection in a wide variety of colors. Note: watch out when you are searching for cork fabric – the fabric I’m referring to in this post is high quality cork with a polyurethane backing and a smooth, leather-like hand. 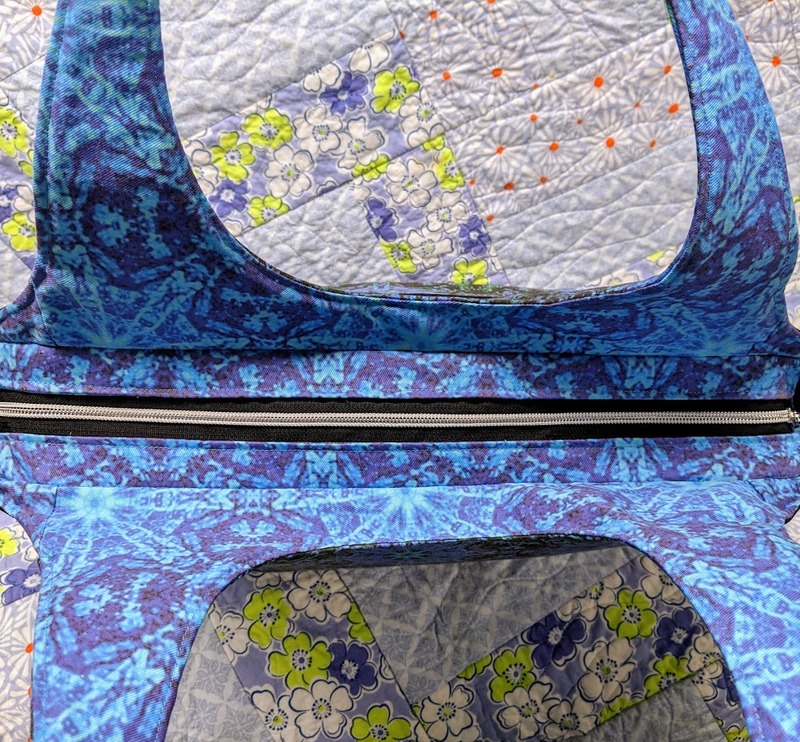 It is NOT regular quilting-weight cotton that has been printed to look like “cork”. Cork fabric is also sometimes referred to as “vegan leather”. 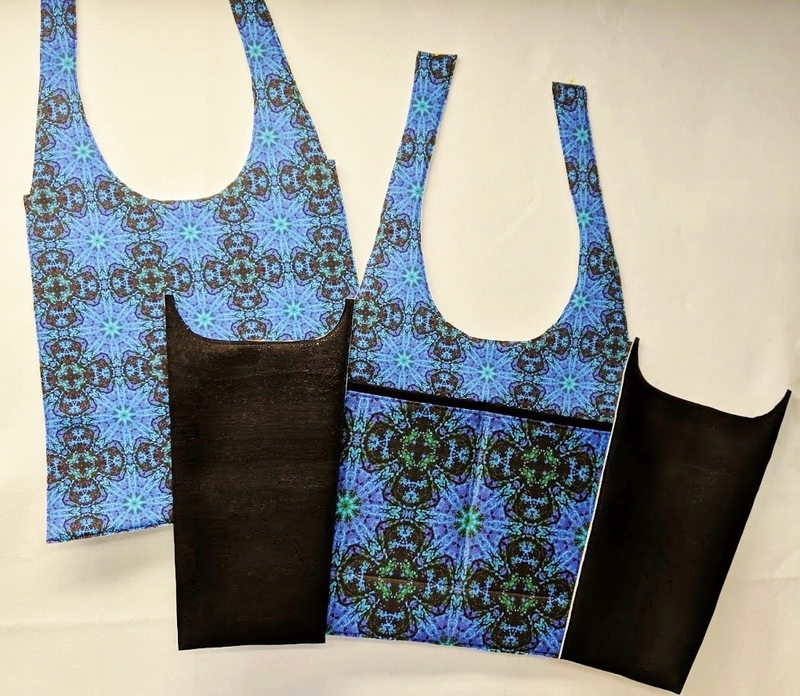 Selection of cork fabric and the Clydebank Tote pattern. (I have plans for the Clammy template and Glam Clam pattern later!) Note: the black cork I eventually used in my tote isn’t shown in this photo. 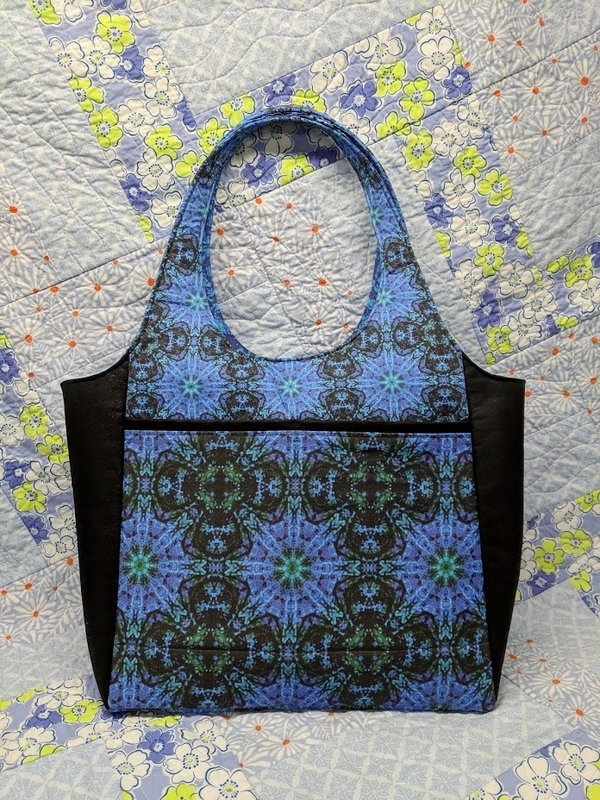 I opted to use fabrics from my Winter Romance collection in my Spoonflower shop for my tote. Cutting out the main pieces using fabric from lightweight cotton twill from my Winter Romance collection. I found the cork surprisingly easy to work with! It cut and sewed like butter. The only potential issue I ran into was that you can’t pin it without leaving permanent holes. I got around this by pinning only in the seam allowances (a few times) and by using my favorite clips to hold the layers together for sewing (the rest of the time). 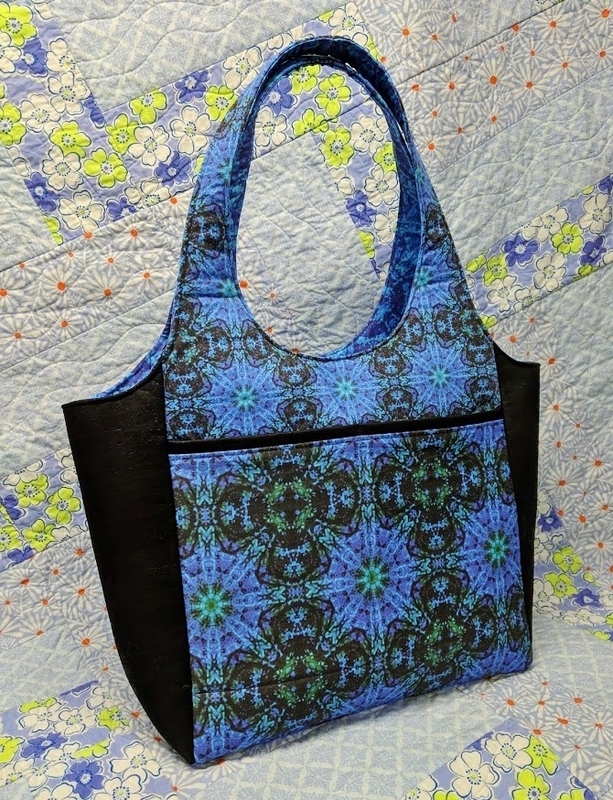 I decided to add a couple of extra pockets to the outside of the tote (it has a zippered top closure and two zipped pockets on the inside) for my sunglasses and phone. I trimmed the new outer pockets with cork fabric. I basted the cork fabric to the Soft & Stable, just like I did with the other outer fabrics. I was initially worried about the extra thickness, but it sewed just fine! I was a little shocked at how much time and effort Sara had put into a pattern she was offering for free. 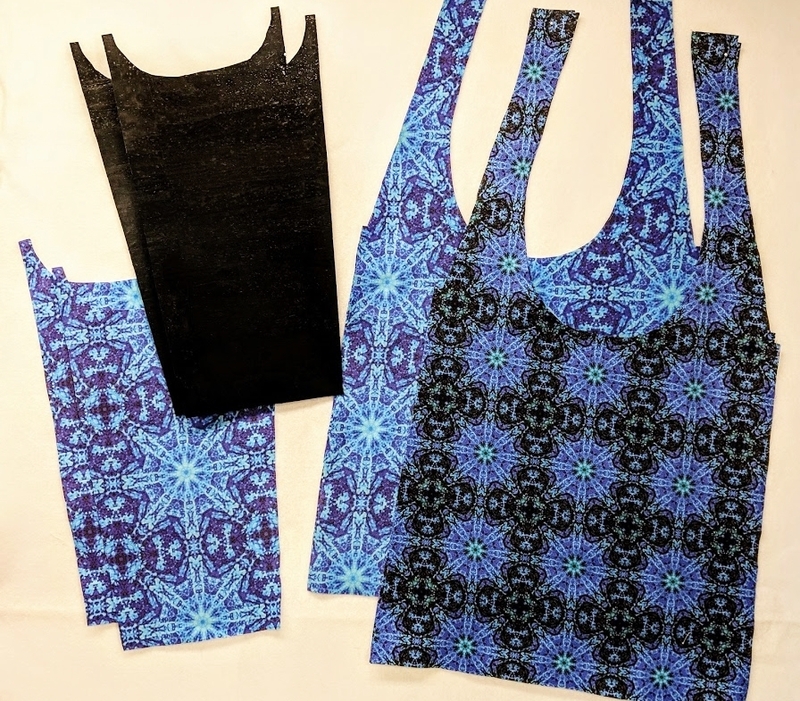 The quality of both the pdf pattern download and the accompanying video tutorial is top-notch. View from the top. I used Silver Metallic Nylon Coil Zippers by The Yard. All in all, I was very happy with my first experience sewing cork fabric and I can’t wait to use it again! Clydebank Tote, pattern by Sew Sweetness, made by Beth Ann Williams with fabrics from the Winter Romance Collection at Spoonflower.com. Click on a tag to bring up all related posts! This site incorporates affiliate links to help support itself. This means that I may get a small commission on some of the items you buy through links I provide – but at no extra cost to you. Please rest assured that in my posts, I only recommend items or sites that I use myself. My work is heavily influenced by both my travels and deep love of nature. Throughout my journey, artmaking has been both passion & coping mechanism in my life w/ chronic disease. I’m constantly trying new things, happily open to new adventures along the way. Designer, quilter, mixed media & fiber artist, author, instructor & Creative Director for Lakeshore Sewing.